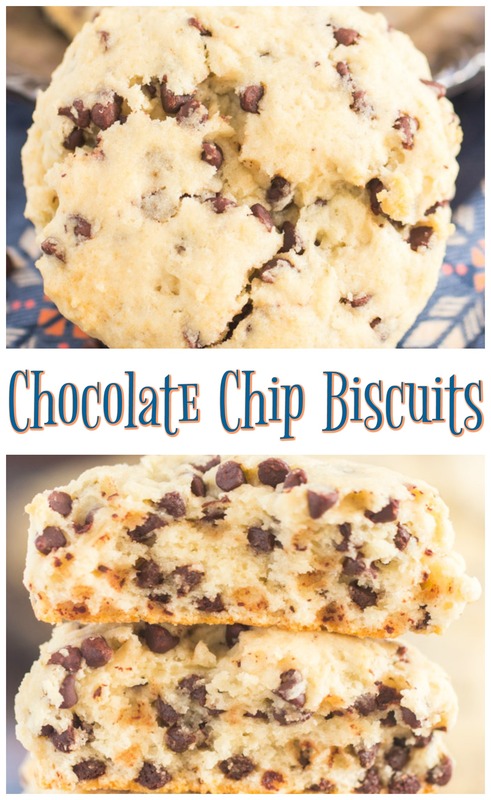 Tender, moist, and flaky biscuits, bursting with melty morsels of semi-sweet chocolate! Combining the perfect balance of richness and sweetness, these Chocolate Chip Biscuits are easy and simple to whip up, and only require a few ingredients! 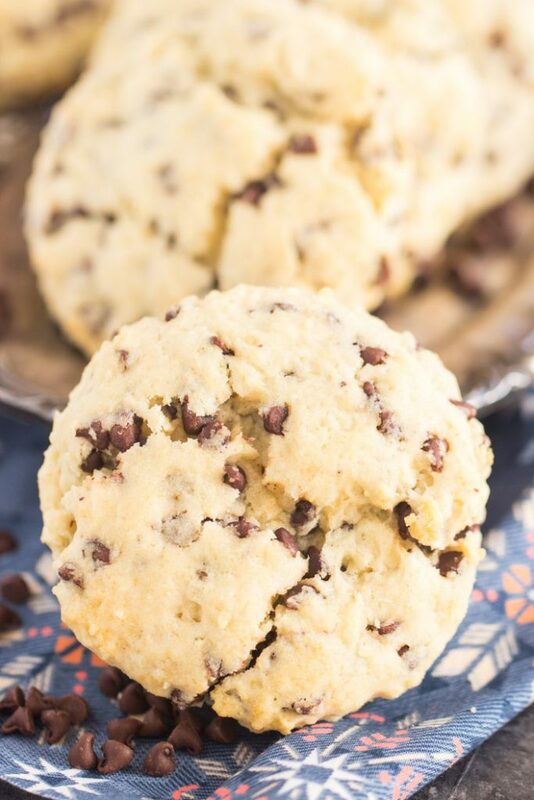 Do not plan brunch without these Chocolate Chip Biscuits! I saw a recipe for Chocolate Chip Biscuits in a magazine a few months ago, and it was the type of recipe that isn’t particularly special or novel on the surface, but somehow grabbed me anyway. It’s just a simple biscuit with chocolate chips, but it jumped out at me. What’s so intriguing about it? I don’t know! I should give this Chocolate Chip Biscuits recipe idea more credit though. Sure, it’s just a biscuit with chocolate chips, but afterall, a really good biscuit is not to be taken for granted. A really good biscuit is a thing of wonder. 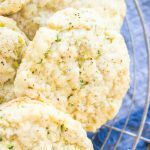 A really good biscuit – soft, flaky, melt-in-your-mouth, luxurious in texture, is to-die-for. And I’m not even a bread nut. If I’m going to go crazy on carbs, it’s going to be dessert. Cheesecake, cake, or cookies. Nevertheless, hot, fresh biscuits are irresistible. Do you agree?? 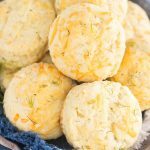 Biscuits can go either sweet or savory, but they’re naturally sort of in no-man’s land, if you ask me. I feel like plain biscuits still hover closer to savory-land, right? But I guess what I found curious about these is that they lean more sweet. A sweet biscuit. Kinda cool and different, if simple on their face. 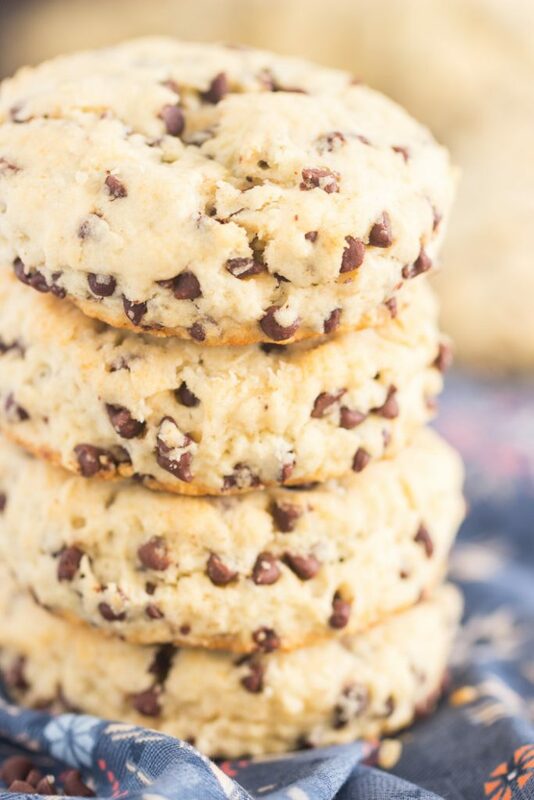 Anyway, this Chocolate Chip Biscuits recipe is beautiful!! I didn’t use the biscuit recipe from the magazine. Instead, I used my personal favorite recipe for cream biscuits, and then I added semi-sweet chocolate chips. A few other extras too: a touch of sugar and a few teaspoons of vanilla extract. 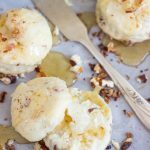 I’ve made these basic cream biscuits into a few different varieties, including these Parmesan Dill Biscuits, Toasted Pecan Goat Cheese Biscuits, and Goat Cheese Zucchini Scones. I love cream biscuits because they’re EASY. Easiest biscuit. No cutting in butter, a task I find nearly torturous. Just stir the ingredients altogether, and cut into biscuits. This dough is easy to work with, not too sticky or soft. The biscuits turn out incredibly flaky and rich. An extravagant biscuit, if such a thing exists, even without the chocolate chips. 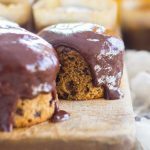 But with the chocolate chips – all the more extravagant! Melty little morsels of semi-sweet chocolate in every bite, and lots of them. They’re everywhere! 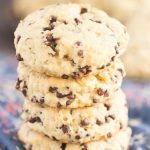 Splendid on their own, but there’s a myriad of ways you could use these Chocolate Chip Biscuits as part of a larger recipe. Slather them in chocolate butter or strawberry butter, spread them with homemade citrus curd, smother them with jam, or with fresh macerated fruit like crushed strawberries or raspberries. 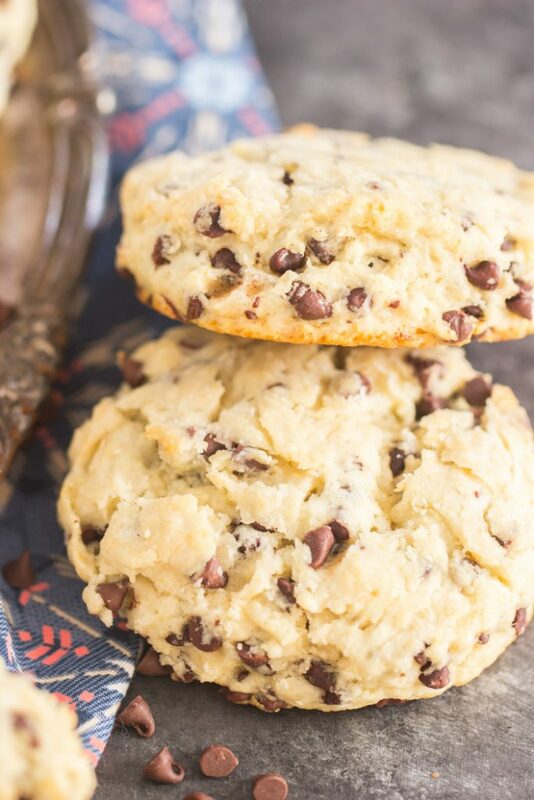 With a dollop of whipped cream, these Chocolate Chip Biscuits will feel a lot like shortcakes. They sound basic, but they are anything but. 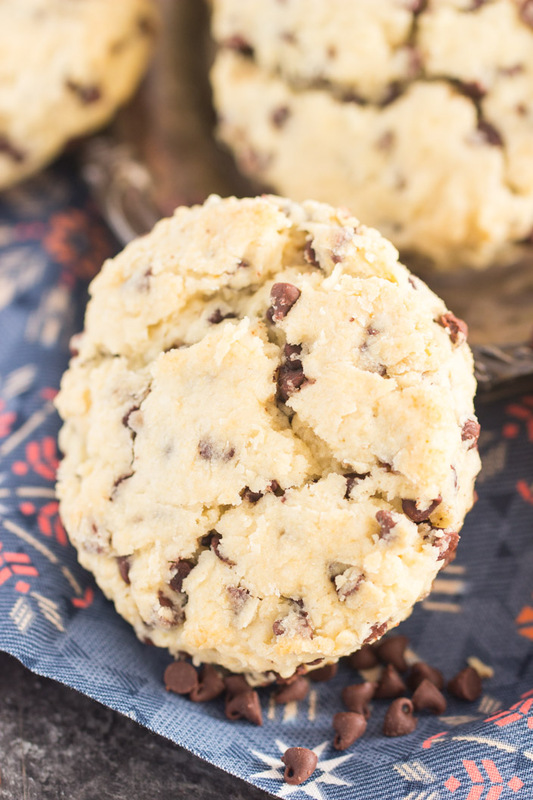 These Chocolate Chip Biscuits are simple, but extraordinary. Try them, and let me know what you think. 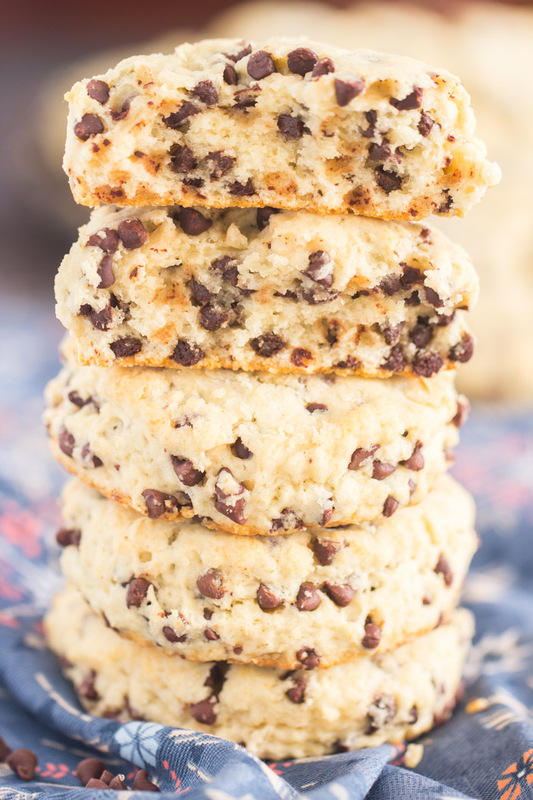 Tender, moist, and flaky quick biscuits, bursting with melty morsels of semi-sweet chocolate! 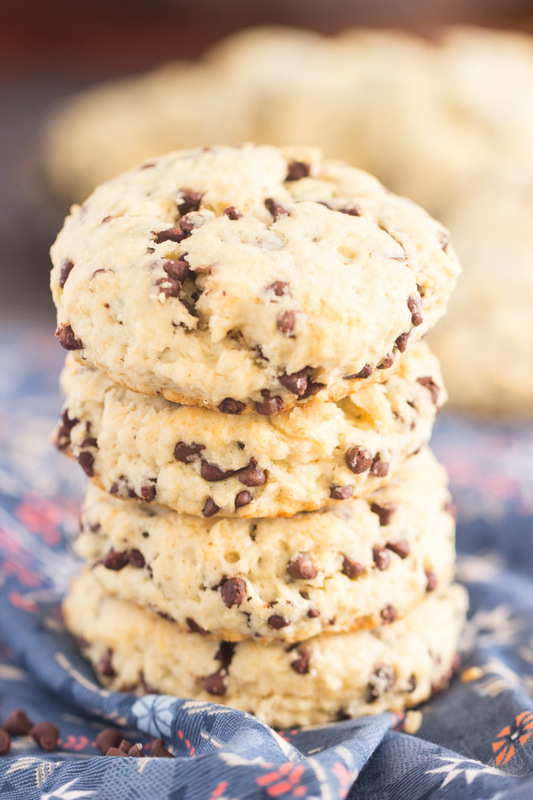 Combining the perfect balance of richness and sweetness, these Chocolate Chip Biscuits are easy and simple to whip up, and only require a few ingredients! Do not plan brunch without these Chocolate Chip Biscuits! Add chocolate chips, stirring to distribute. 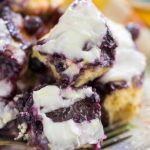 In a small bowl, whisk together heavy cream and vanilla. Add the heavy cream mixture to the flour mixture, and stir until just moistened. The heavy cream will absorb very quickly! Knead only 3-4 times, while also forming the dough into a disk, about 3/4-inch thick. Do not overwork. With a 2 or 2.5-inch biscuit cutter, cut as many biscuits as possible. Reform scraps, and cut as many biscuits as possible. Arrange biscuits 2 inches apart on parchment paper or silicone mat-lined baking sheets. Bake at 450 degrees for about 15 minutes, or until edges and bottoms are lightly browned.